RABDF Dairy Event and Livestock Show 2010 - Fancy it? 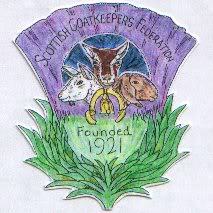 Have been discussing the RABDF Dairy Event and Livestock Show 2010 on the Highland Goat Club Facebook page and there seems to be some interest in attending the show this year. Previously held at the Royal Bath and West Showground, the show has been relocated to Birmingham NEC. Although probably every member of the SGF are not commercial goat keepers since 2008 the show has a Commercial Goat Exhibition which should be really insightfull. Personally I am really keen to find out about Commerical Goat Farming. Following the success of this exhibition launched in 2008, RABDF in association with the British Goat Society will provide valuable information for existing goat farmers and those who want to know more about this growing market. There will be a number of breeds on display with advice on their commercial applications for dairy, meat or fibre products located in the Sheep Buildings on Avenue Q. Practical demonstrations will also be held on both days including AI, milking and foot trimming together with advice on feeding and genetics, which will be of benefit to all goat farmers."